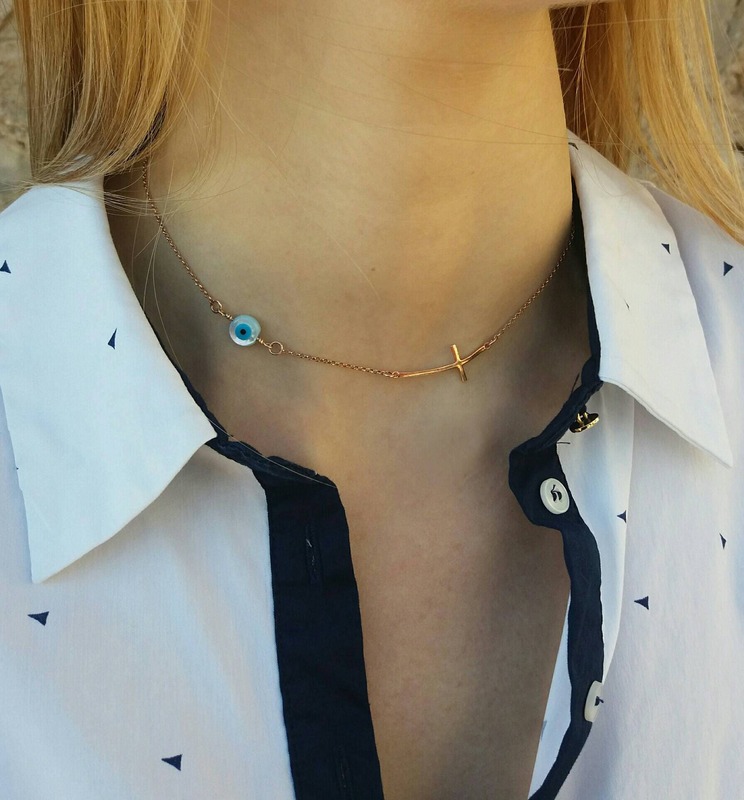 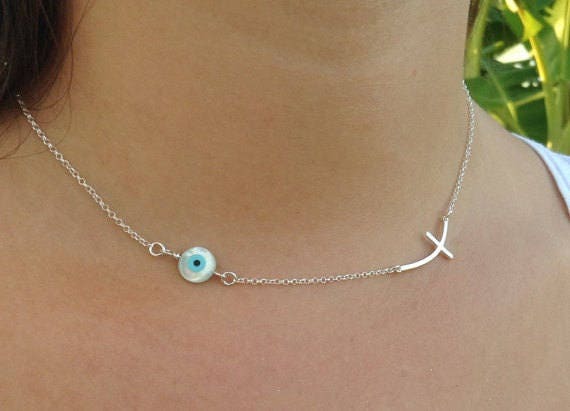 A nice, dainty rose gold filled cross combined with a Turquoise evil eye hanging on a shiny gold filled chain. 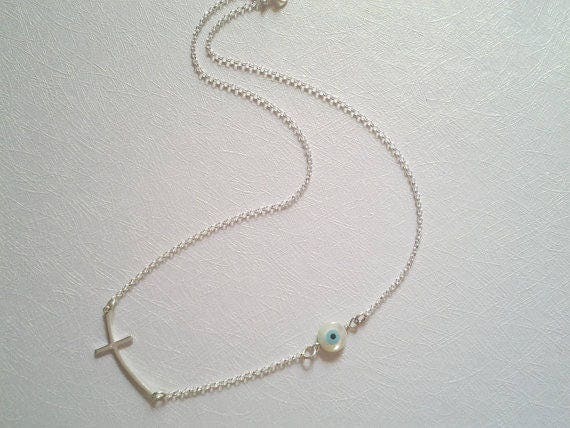 Also available in sterling silver and 14k gold filled. 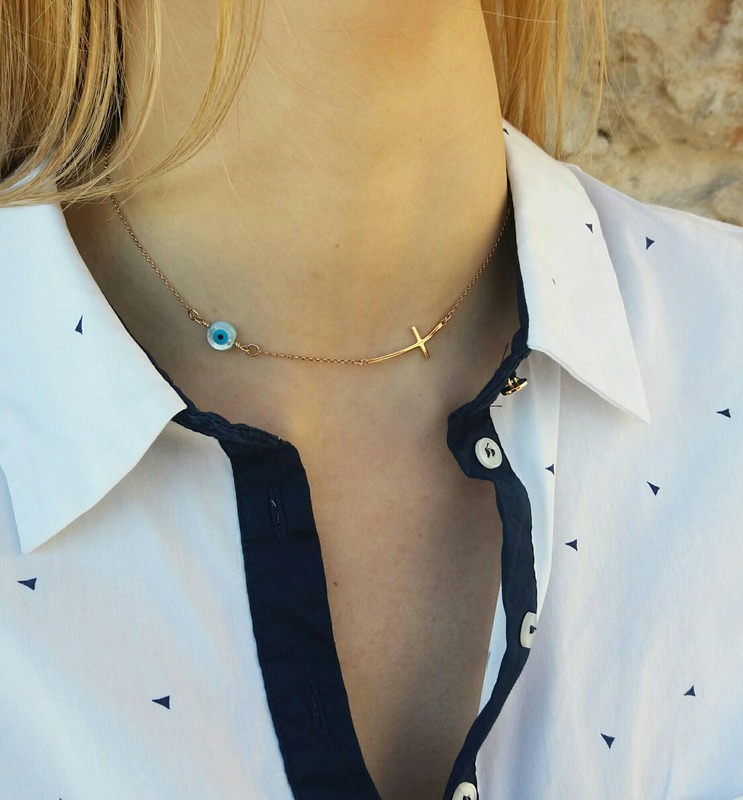 A modern piece for everyday appearance but also for special occasions. 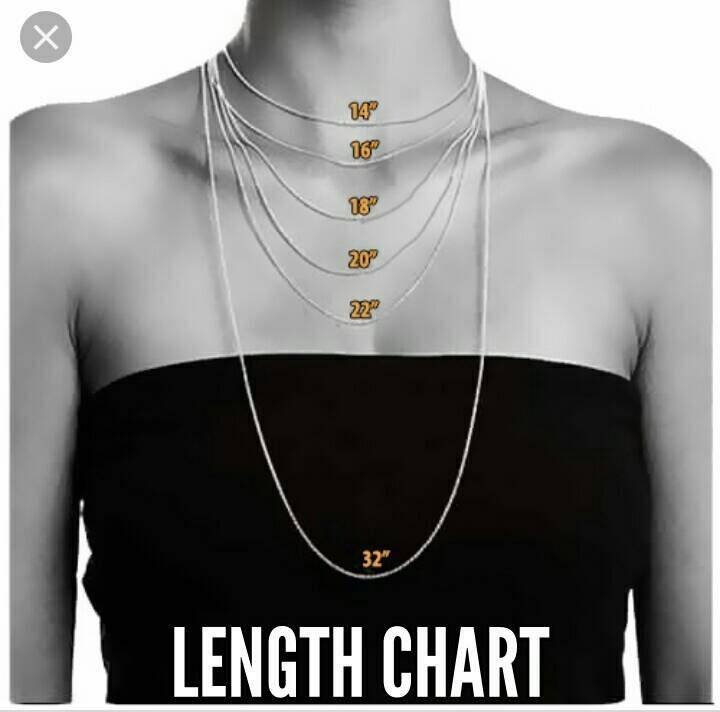 An ideal best friend gift.